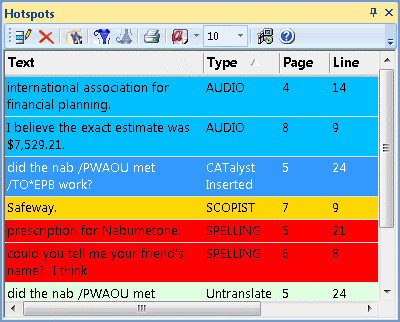 Catalyst What's New | Stenograph L.L.C. 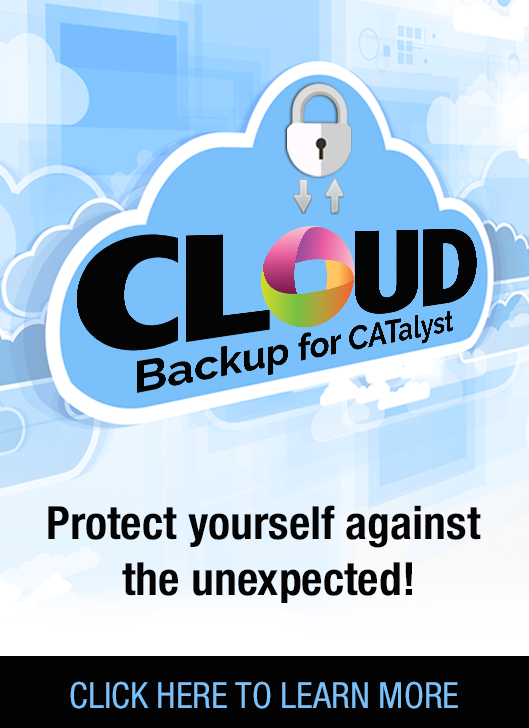 Did you know you don’t need to repurchase CATalyst to upgrade to the latest version? 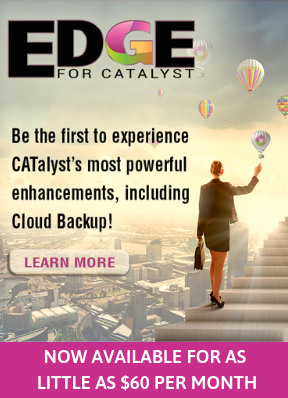 See our Edge for CATalyst Plan page to discover just how affordable it is to upgrade. What's new in Case CATalyst Version 20! RealTeam™ gives you the ability to have multiple people simultaneously editing a file during a realtime proceeding and after. All edits are shared among the team, and immediately sent to the CaseViewNet-connected attorneys. No matter their physical location, it’s like having scopist and reporter sitting right next to each other. Whether you’re looking to start providing realtime or trying to take your realtime to the next level, RealTeam gives you the confidence to make it happen! Everyone talks about getting brief suggestions for multistroke words/phrases while they’re writing. But what if you could instantly see a list of the multistroke words/phrases you write most often in your dictionaries and get brief suggestions for them before the job starts? Think of all the effort you can save on your next job! Brief My Dictionary finds the most used multistroke entries in any of your dictionaries and creates brief suggestions. You can save or modify the brief suggestions. No complicated sorting. No copy and pasting. No creation of core lists. A simple click is all it takes! The Opus Audio Codecs give you crystal clear audio plus a small audio file size. It’s great for everyday audio recording and outstanding for use with the RealTeam feature. It also has less of an impact on your Cloud Backup storage space. Your browser will not play this audio. Have you ever saved a file to a different name or used the Break command to create a new file and when you go to look for the file you can’t remember the name? Recently Saved Files allows you to instantly find and open the files you recently worked on. This can be a lifesaver for those times when you are not sure of what you named a file or where you saved a file. You can even use this feature to quickly get to your file in progress, open it up, and continue editing. Case CATalyst has always had the Timers feature for those jurisdictions that require the reporter to track the time each speaker is on the record or the total time of the proceedings. However, there are those rare occasions that creating an accurate accounting of time may require you to edit the time for a speaker. Maybe you started the timer before the proceedings started or they came back from a break and they started talking before you had a chance to start the timer. There’s no need to panic anymore; you can easily edit the timer for any speaker. What's New in CATalyst Version 19! What’s even better than having a list of all the things in a transcript you want to check? How about having those things categorized by name and color! Now you can quickly see when you want to check spelling, check audio, or whatever category you choose. It may be more natural for you to see and think about steno phonetically. In CATalyst Version 19, Brief It gives you the option to see briefs phonetically. A brief that Brief It might give you for the phrase “large imbalances” is /HRARPBLG. If thinking about the steno phonetically is more your style, you can have Brief It display /LARJ instead. The Brief It window can fill up fast! Sometimes you just want to see the briefs you’ve used and get rid of the ones you haven’t. You can now tell CATalyst to remove all the unused suggestions from the Brief It window! Plus, the unused steno outlines will become available again for future brief suggestions. It’s now easier to know when Cloud Backup has safely stored your files to the cloud. A green dot will show in Manage Jobs to indicate when a file/sub file is backed up. If the file has changed and is waiting to be backed up, a yellow dot will appear. Now you can build your dictionaries in the most natural way, by hearing the words and phrases and then writing them phonetically! Dictionary Builder will speak the words from Case Prep’s Dictionary Builder list or any ASCII list. You know what your left margin should be, but how do you make sure you have the correct number of characters per line? The Character Per Line Assistant in CATalyst will let you know. Now, one of the most frustrating parts of layout creation is done for you! There are many more time saving features in Version 19! To get a full description, read the Version19 release notes. Reporter Suite allows Court Reporters to manage reports, invoices, payees, expenses and time tracking from almost any device. Finish ‘em now has an option for creating and emailing a Reporter Suite invoice link to your clients, along with your transcript. For more information on Reporter Suite click here. Information contained within a transcript index can now be automatically bookmarked when creating a PDF copy of a transcript. For example, some jurisdictions may require a PDF to have bookmarks when examinations occur, exhibits are marked, request for documentation occur, etc. 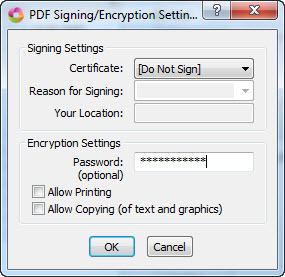 PDF transcripts can now be encrypted, given a password, set to not allow printing and/or copying without needing to digitally sign the transcript. This allows court reporters greater control over access to the PDF without the need for purchasing a digital signature or creating a digital signature themselves. A Singularly Sensational Enhancement to Brief It! Now when you write a plural word or phrase in 3 or more strokes, Brief It will provide suggestions for the singular form of that word or phrase in case you need it later. No matter which form is spoken, singular or plural, Brief It will help you to write cleaner and with fewer strokes than ever before! You know there’s got to be a better way, but where do you find it? Now you can find any option and set it to your preference without wasting time hunting for its location, or worse yet, doing the same thing over and over again when you know there’s a better way. Everything is better live! By analyzing untranslates while you write realtime, the Live Suggestions feature will offer you text suggestions on the fly, which helps you to write cleaner realtime and saves you editing time. Now, you can put Live Suggestions to work even when there are no untranslates! Let's say you are working on a medical case involving lots of specialized language and your steno for “foramen ovale” translated as “foramen owe valley.” Now, you can ask the Live Suggestions feature to give you a suggestion for the text “foramen owe valley.” Live Suggestions analyzes the text and gives you the suggestion of “foramen ovale,” –thereby eliminating the need to make corrections during a break. Even more importantly, the next time you need to write “foramen ovale,” it will translate correctly! An easy way to initial cap words from your writer has arrived! The heart of this feature is for captioners, but it works great for reporters too. Now, when you must write something that needs to be all initial capped, such as the title of a document, you can turn initial capping on and off from your writer. Imagine how good you’ll look when a long document title goes out to captions or realtime all initial capped, without the need for editing! E-Defining text directly from your writer is here! You would love to change all occurrences of Cindy to be Cindi on the fly, but you didn’t write them all the same way. You wrote SIN/DAOE, SIND/AOE and SIN/DAE. Now, without taking your hands away from your writer, you can change all current and future occurrences for the job regardless of the underlying steno. Goodbye RTF/CRE and ASCII! Case Prep now analyzes Eclipse files too! If you’ve switched from Eclipse to CATalyst and have Eclipse files that you need to print or access, you can now easily import them into CATalyst without the need to convert them to RTF/CRE or ASCII. For additional features that make the transition to CATalyst easy, click here.